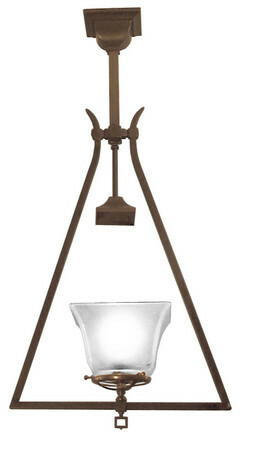 Early gas lighting came in two sizes: candle flame and wide burner. 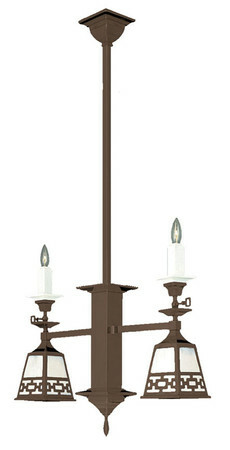 This is a reproduction of early gas lighting, which had a familiar candle shape. Note that we left the gas turn-on "key" in the reproduction. 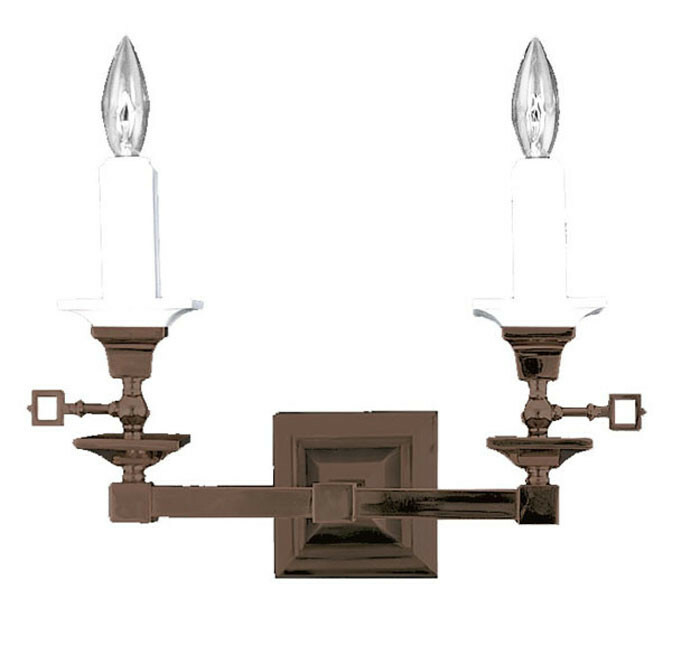 We have also used square milk glass candle tubes and drip savers, included with this fixture, just as the original mid-1800's fixture would have had. Nice for dining ambiance, or hallway lighting. Darkened brass finish to simulate an aged patina. Also available nickel plated, to blend with bathroom and hall fixtures. Use the menu above to select your choice of finish. We offer custom installation of the switch for only $25.00. Please click the "Yes" option in the "Add Switch?" menu to add an On/Off switch to the canopy. 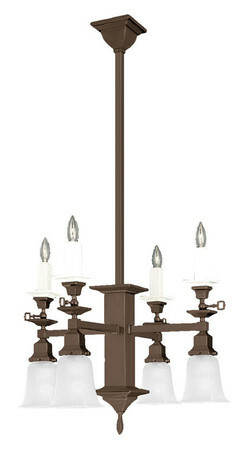 Two candelabra bulbs, up to 75 watts each.